For product-specific support including datasheets, design guides, configuration guides, installation guides, release notes, and operating guides, make selections from the menus below. * Click the TrafficDOT version number above to download the latest version of the software. Please contact your Sensys Networks representative or dealer to obtain VDS firmware or other updates not listed on this page. Click on any question to view responses to Frequently Asked Questions. How long does it take to install a Sensys Networks wireless sensor? Installation of each Sensys Networks wireless sensor takes approximately 10 minutes or even less. For a flush-mount sensor, installation simply requires boring a 4-inch / 10-cm diameter hole approximately 2 ¼ inches / 5.7 cm deep at the desired sensing location, placing the sensor into the hole so that it is properly aligned with the direction of traffic, and sealing the hole with fastdrying epoxy. A hammer drill is recommended, but a core drill can alternatively be used. No leadin cabling or long saw cuts are required, and the circular pavement hole produces the least amount of damage and stress to the roadway. Installation of a surface-mount Sensys Networks wireless sensor is similarly fast and easy – just orient and epoxy the sensor to its desired position in the roadway. How deep should a flush-mount sensor be installed? Nominally, each sensor should be installed in a 4” / 10-cm diameter hole that is 2” to 2 ¼” / 5.1 cm to 5.7 cm deep. The objective is to provide at least ¼” to ½” / 0.6 cm to 1.3 cm of clearance from the top of the sensor to the road surface to avoid the risk of damage to the sensor from passing vehicles. In what pavement types can the system be installed? The Sensys Networks VDS240 Wireless Vehicle Detection System can be used in any type of pavement as long as a bore hole can be drilled. Types of pavement include Superpave Hot Mix Asphalt (HMA); Stone Matrix Asphaltl Portland Cement Concrete, including Jointed Plain Concrete Pavement, Jointed Reinforced Concrete Pavement, and Continuously Reinforced Concrete Pavement; open-graded HMA, including Open Graded Friction Course and asphalt-treated permeable materials (rubberized asphalt). What kind of epoxy should be used to fill the sensor hole? Sensys Networks recommends the 2:1 ratio pack of Fabick Joint Seal (FJS), a two-component 100% solid silicone polyurea-based joint sealant. Supplies can be ordered through Sensys Networks or directly from the factory. How fast does the epoxy cure? The epoxy cures in ~5 minutes, where the manufacturer recommends application at temperatures ranging from 20°F / -6.6°C to 180°F / 82.2°C. Because the epoxy cures so fast, work must be managed so that an open tube is used quickly. Note, too, that the installation hole must be dry and clear of all debris before applying the epoxy in order to realize the best quality adhesion and seal. Can the system be upgraded after installation? Do the flush-mount sensors installed in the pavement have to be removed? All firmware in the Sensys Networks Wireless Vehicle Detection System can be upgraded after installation as necessary to correct bugs or introduce new software-enabled features and capabilities. Sensys Networks access point firmware can be upgraded remotely via its IP connection or locally via its Ethernet port, and firmware for other components can be delivered via the access point through these same mechanisms. Sensys Networks CC and EX card firmware can then be upgraded through their cable connection to the access point, and both Sensys Networks repeater and sensor firmware can be upgraded “over-the-air” via the radio link from the access point. No devices need to be uninstalled or removed. The upgrades are controlled using TrafficDot, where the TrafficDot and access point software that implements the upgrade process has been designed to work even when the IP connection suffers dropouts. As a result, firmware upgrades can even be performed for devices where the IP connectivity to the access point is supported by cellular data services. Do components have to be specially ordered for each installation? Although Sensys Networks often pre-configures components prior to shipment in order to simplify field installation, Sensys Networks devices can generally be configured in the field as needed to support a particular application. As a result, Sensys Networks components can be ordered in advance of anticipated installations and deployed as needed without special concerns. Note that the Sensys Networks VSN240-T flush-mount wireless sensor can only support presence detection applications and is not suitable for count station applications. The VSN240-F flush-mount wireless sensor, however, can be configured to support both types of applications. TrafficDOT is a Java application that provides a real-time configuration and monitoring tool for the access point and all its connected Sensys Networks devices, including all sensors, repeaters, and contact closure cards. Once connected to an access point – either locally through direct Ethernet connection or remotely through the access point’s IP connectivity – TrafficDOT is the primary control interface to a Sensys Networks installation. Is the SNAPS manager required? Sensys Networks offers the SNAPS (Sensys Networks Archive, Proxy, and Statistics) software to simplify data collection, network management, and communications with a network of IP-enabled Sensys Networks access points and their associated sensors and repeaters. The format used by Sensys Networks access points in communicating detection data via IP connectivity, however, is easily accessed by other software applications, or Sensys Networks can customize the access point output to be compatible with existing systems. In such cases, there is no need to use SNAPS. Can two or more access points be used at the same location? Two or more access points can be employed at a single Sensys Networks installation site, although, if possible, use of a single access point and one or more Sensys Networks repeaters may be more economical. Note that repeaters can be operated in tandem, with two repeaters between a group of sensors and the access point. In many cases, tandem repeaters can be used rather than two access points. Certain applications, however, can still require multiple access points – for example, stop bar detection combined with advance detection at four approaches of an intersection may require two or more access points pointed in different directions to fully provide coverage to the sensors and repeaters at all the approaches. 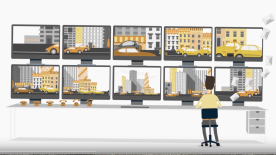 Multiple access points may also be necessary in order to support a large number of sensors with minimum data latency, especially in traffic signal control applications. Note that each access point would typically be configured to operate on a different frequency channel. If the access points are powered from a single traffic controller, care must be taken that there is adequate power available. Each access point requires its own CC card to support the data interface to the traffic controller, as required by the application. If the data interface is via IP connectivity, each access point requires its own IP connectivity to support the interface to upstream servers. Future versions of the access point, however, will allow it to be configured as a router so that a single IP connection can be shared among many IP devices, including other access points. Can the Sensys Networks Wireless Vehicle Detection System be used to repair broken inductive loops? The Sensys Networks Wireless Vehicle Detection System will not “repair” a broken loop, but it can be incrementally deployed to replace broken loops, operating alongside the working loops until, as desired, all loops are replaced with Sensys Networks wireless sensors. Replacing a loop in this way – effectively retrofitting an old vehicle detection installation – is especially feasible because the Sensys Networks Wireless Vehicle Detection System supports contact closure interfaces to standard traffic controllers. By properly configuring the Sensys Networks Contact Closure (CC) and Extension (EX) cards, Sensys Networks wireless sensors can provide the same presence or pulse signals in the same phase and detector groups as the loops that they replace. Can Sensys Networks wireless sensors be installed in tunnels? On bridges? On elevated freeways? On superelevated roadways? Are there any limitations to where the sensors should be placed? Because each Sensys Networks wireless sensor self-calibrates to the long-term local magnetic field, a sensor can be installed in almost any location where the magnetic field is not changing rapidly. The orientation of the sensor with respect to level is not particularly significant – sensors are routinely installed on grades of 5 to 10%, either on hills or super-elevated roadways. In general, however, a sensor should not be installed near power stations, underground power lines, high-tension (> 5 kV) power lines, light rail tracks (unless detection of light rail vehicles is desired), or any other place where large changing magnetic fields are present. Tunnel, bridges, elevated freeways, and the presence of rebar in reinforced concrete do not necessarily affect operation of a Sensys Networks wireless sensor. The proximity of large steel structures, however, including large metal bridges, may reduce the sensitivity of a sensor because a vehicle will have less effect on the local magnetic field than in steel-free environments. The motion of a bridge may also generate low-frequency electro-magnetic noise as it vibrates that can affect a sensor’s measurements and its ability to self-calibrate. The impact of this effect can be minimized by locating the sensors over a bridge’s piers. Can the access point send sensor vehicle detection signals to a traffic controller like inductive loop signals are sent? Can it send data to Traffic Management Centers or Advanced Traveler Information Systems? Can it do both? An access point can send its sensors’ detection event signals directly to a traffic controller by using the Sensys Networks CC and EX contact closure cards in exactly the same way that loops are used. Or it can send detection data to upstream traffic management facilities via IP connectivity using twisted pair, Ethernet, fiber optic, cellular data service, or other wireless services. Or it can do both simultaneously, as desired. Can the system be used with incident detection algorithms such as HIOCC? The Sensys Networks Wireless Vehicle Detection System has not yet been used with any incident detection algorithms, but it can readily provide the necessary data (occupancy, speed, volume, gap, headway) at the frequency needed to support such algorithms. For more information about advanced Sensys Networks technology from Sensys Networks, please visit www.Sensys NetworksNetworks.com. What kind of battery does the wireless sensor use? 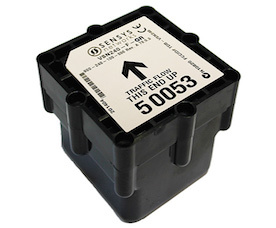 The battery used in each Sensys Networks wireless sensor is a single 3.6V cell ER26500. The cell is a primary lithium-thionyl chloride (Li-SOCl2) C-size battery with a nominal ampere-hour capacity of 2.8 Ah. These particular batteries were selected based on their low-drain, long-term operating characteristics and their ability to operate over a wide range of temperatures (from -67 °F / -55 °C to +185 °F / +85 °C). Sensys Networks then estimated an average battery pack life of 10 years based on the likely number of vehicles that would be detected over that period, a typical sensor configuration, and worst-case extremes over the sensor’s specified temperature range (-40 °F / -40 °C to +185 °F / +85 °C). Sensys Networks has completed over 3.5 million hours of independent testing on batteries from various manufacturers, cell configurations, environmental conditions and product load profiles to characterize the performance of these cells in our product. How long does the sensor battery pack last? Thanks to careful power management, low power circuitry, and the operation of the Sensys Networks NanoPower protocol, the sensor battery is expected to last an average of 10 years. 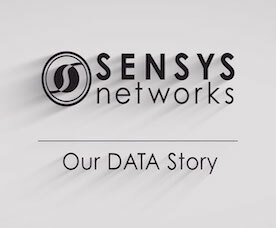 Several studies have specifically examined this claim, where whitepaper summaries can be downloaded from the Sensys Networks Website, www.SensysNetworks.com. 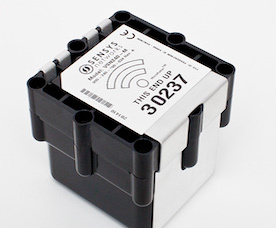 For example, as described in the Sensys Networks whitepaper, “Measurement of Sensys Networks Wireless Sensor Battery Life”, Sensys Networks investigated the remaining lifetime of battery packs obtained from three sensors that had been installed on a Texas highway for a year and a half. During the sensors’ operation, the installation site experienced air temperatures as low as 21 °F / -6.1 °C and as high as 100 °F / 37.8 °C, with a maximum daily temperature swing of 40 °F / 20.2 °C. Over the year and a half that these sensors were deployed, each sensor detected approximately 5 to 8 million vehicles, depending on what lane it was in. As part of this particular installation, the sensors were configured to transmit each vehicle detection event to the access point as it occurred, a configuration that Sensys Networks does not recommend for count stations because it does not conserve battery power. Nonetheless, analysis of the battery packs recovered from the sensors reveal an estimated total battery life of approximately 8.5 to 13.0 years. Another Sensys Networks whitepaper, “Battery Life Analysis of the Sensys Networks Wireless Vehicle Detection System by ARRB Consulting/La Trobe University”, describes an analytical estimate of the sensor battery life developed by researchers at ARRB Consulting and La Trobe University (Melbourne, Australia). Working under contract to several Australian state road and traffic authorities, their work reveals that a sensor’s current consumption depends in part on the number of vehicles detected over its lifetime. Given the capacity of the battery used by the Sensys Networks wireless sensor and the number of vehicles that can be detected, the report concludes that the claimed average battery life of 10 years is likely to be achieved. Will sensor performance, either of the radio or the magnetometer, degrade as the battery ages? Due to the specific characteristics of the sensor battery, its voltage will remain constant until the very last few weeks of its operation. As a result, radio and magnetometer performance will not degrade with age until the sensor completely ceases to operate. How can the sensor battery be replaced? 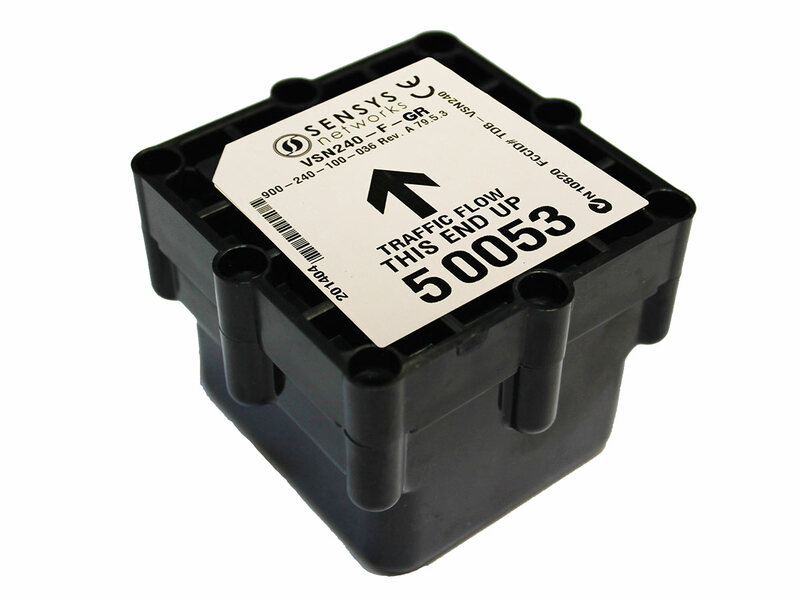 Sensys Networks does not recommend replacing the sensor battery – simply replace the sensor in its entirety. The old sensor can be left in place, or, if desired, it can be removed by using a wider diameter core drill than was used to install it. What does the barcode on the sensor label indicate? The barcode indicates the sensor ID number as printed below the barcode. Do the Sensys Networks wireless sensors require calibration? No manual calibration is required by the Sensys Networks wireless sensors -- when no vehicles are present, each sensor continually measures the background magnetic field to estimate a reference value that is used to decide whether a vehicle is present or not. Each sensor self-calibrates by allowing the reference value to change with time, thus responding to characteristics of the specific installation site and to any long-term variations of the local magnetic field. Is there any way to verify that a Sensys Networks wireless sensor is correctly detecting vehicles? What happens if a sensor fails? Thanks to its fundamental design, the Sensys Networks Wireless Vehicle Detection System provides mechanisms to ensure the availability and accuracy of its data. For example, installing two (or more) wireless sensors in a traffic lane is necessary to measure speed, but it also allows the data from each sensor to be checked for self-consistency and means that, in the event of sensor failure, at least one sensor can still provide vehicle count and occupancy data. A third sensor in the lane provides both redundancy and the ability to check for self-consistency among the three sensors. In general, the failure of a single sensor is independent of the other installed sensors, so any lack of data in one traffic lane does not affect the data from the other lanes. Contrast this situation to that of a radar or video system, where equipment failure means that data for all lanes is lost. Why does the repeater not have an average 10-year battery life like the sensor? 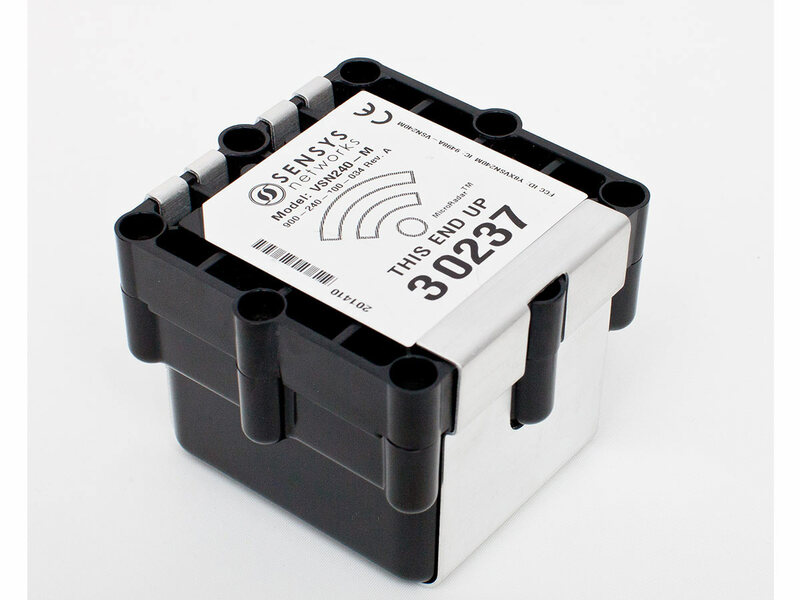 The Sensys Networks repeater consumes more power than a Sensys Networks wireless sensor because it must always listen for sensor transmissions even if the sensors are not sending data, because it is actively transmitting or receiving much more often than a single sensor as it supports communications with all its neighboring sensors and with its corresponding access point, and because it sends SYNC packets continuously (every 125 milliseconds). Consequently, the standard repeater model (RP240-B) has an estimated average battery life of 2 years, while the long-life repeater model (RP240-B-LL) has an estimated average battery life of 8 years. Replacement of the repeater battery, however, can be easily performed in the field, typically without requiring lane closure. Can the repeater battery be monitored? Using TrafficDot, the input voltage provided by the repeater’s battery can be monitored. If its level drops below 3.0 V, the repeater battery should be replaced. How is the access point powered? An access point must be ordered with the appropriate input power option. Options are available for either 36-58VDC isolated power input (nominally, 48VDC) or, if solar power is to be used, 9-20VDC power input (nominally, 12VDC). Power is delivered to the Sensys Networks access point via Power over Ethernet (PoE) twisted-pair cable, either using a 48VDC (standard) or 12VDC (non-standard) PoE implementation. If the access point will provide detection data to a roadside traffic controller, then the Sensys Networks CC card will support that interface and will provide power from the traffic controller backplane to the access point. If the access point will not provide detection data to a traffic controller and no CC card will be used, then power can be provided from a nearby traffic controller or power pedestal or any available source of 110-240VAC, 50-60Hz power by using a 48VDC power supply and PoE power injector that can be purchased from Sensys Networks. If the access point will be powered by solar panels and backup batteries, a 12VDC PoE power injector is available from Sensys Networks. How does one find a sensor after it has been installed? For example, what if the epoxy seal is covered by asphalt and no longer visible? Presumably all sensors have been installed in their desired locations and configured properly at that time – it is inadvisable to install the sensors and then configure them later. Once properly installed and configured, each sensor is in communication with a Sensys Networks access point and is uniquely addressable. From that point on, whether the sensor can be “found” physically is more or less irrelevant – its detection data can be received and its performance can be monitored without ever touching the device. If a sensor is lost in the sense that it does not have radio communications with the access point (or repeater), the access point (or repeater) can be manually swept across the sixteen different frequency channels in order to “find” the sensor and then reconfigure the sensor to the desired channel. If this step does not succeed and the sensor itself has failed – either at the end of its battery life or prematurely for whatever reason – it can be left where it was installed. What does “latency” mean? Are vehicles detected “late”? 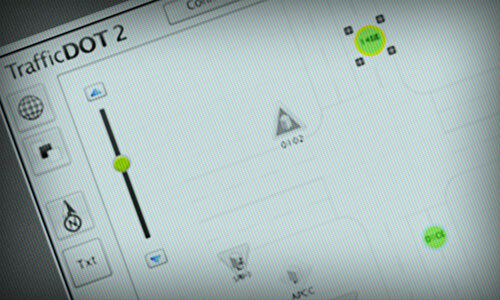 In the context of the Sensys Networks Wireless Vehicle Detection System, “latency” refers to the delay before detection data is communicated to the traffic controller or the IP network that supports communications with Traffic Management Centers, Traveler Information Systems, or other systems that have IP connectivity with a Sensys Networks access point. Significant sources of data latency in the system include the TDMA latency due to the 125 ms frames used to support sensor communications with an access point or repeater – if a detection event occurs immediately after a specific sensor’s time slot has passed, that sensor will need to wait 1/8th of a second until the next slot is available before it can communicate its detection data – and any retransmission latency that may be incurred if a sensor must re-transmit its data to an access point or repeater because earlier transmissions were not successfully acknowledged. The presence of latency does not, however, imply that vehicles are detected late. Each sensor measures the x-, y-, and z-axis components of the local magnetic field at a 128 Hz sampling rate or every 7.8 ms. An ON event occurs when the absolute value of the measured magnetic field exceeds the Detect threshold, and an OFF event occurs when the value returns below the Undetect threshold. These detection events are communicated to the Sensys Networks access point as time-stamped data, where the time reference for all sensors is established by the access point. If the access point has IP connectivity and is locked to timing signals generated by the National Institute of Science and Technology (NIST), the timestamps are accurate to within 1 ms. The Sensys Networks CC card provides isolated 48VDC power and data lines to an access point, and its power and data lines are protected with SIDACtor surge arrestors and TeleLink resettable fuses. For 48VDC access points, the power and data lines are similarly protected with SIDACtor surge arrestors and TeleLink resettable fuses. For 12VDC access points, the expectation is that the solar panel and backup batteries providing the input power will be mounted on the same pole as the access point. As a result, any lightning strike likely to induce a power surge on the power and data lines will be a direct hit, in which case no amount of protection would suffice. Consequently, the only protection provided in the access point 12VDC power circuitry is a triac-based overvoltage protection circuit. How long can the cable be from the access point to the contact closure card in the traffic controller cabinet? Because the cable between the Sensys Networks access point and the Sensys Networks AccessBox and CC card must support 10Base-T Ethernet signals, the maximum run length of solid core twisted pair CAT-5, CAT-5E, or better cable is 328 feet / 100 meters. On what radio frequencies does the system operate? Is a license required? Is radio interference a problem, especially in cities? 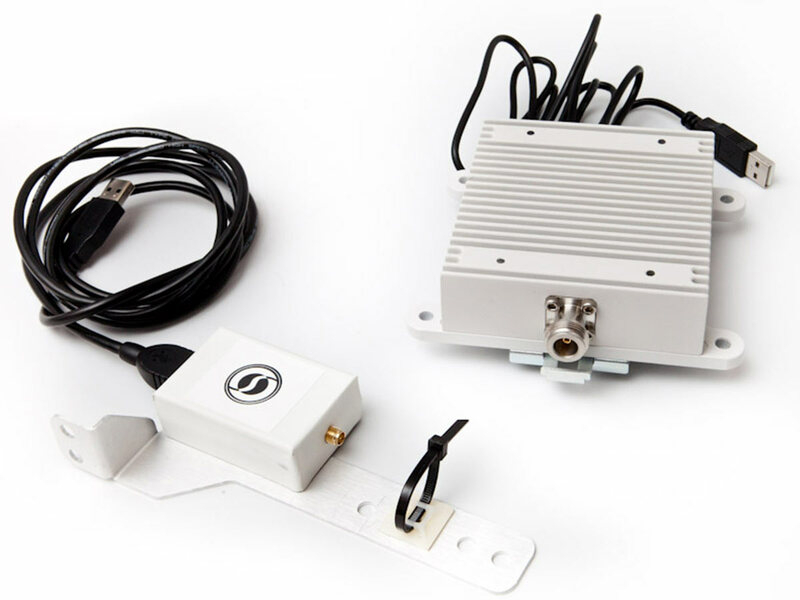 The Sensys Networks Wireless Vehicle Detection system operates in the globally available 2.4 GHz unlicensed frequency band according to the IEEE 802.15.4 PHY industry standard. At the transmit power levels used by the system, no operation or site license from government communications authorities is required to deploy the Sensys Networks Wireless Vehicle Detection System. Communications between a Sensys Networks wireless sensor and its corresponding access point or repeater or between a Sensys Networks access point and a repeater can be on any of sixteen different frequency channels. The channel should be selected to achieve the best Sensys Networks radio performance. If possible, the system should be located away from sources of 2.4 GHz radiation such as Wi-Fi hotspots and microwave ovens, but, even if radio frequency interference is present, the Sensys Networks Wireless Vehicle Detection System has the flexibility to operate on a frequency channel where the impact of interference is minimized. In North America, because of the way Wi- Fi channels are defined, Sensys Networks channels 14 and 15 are least affected by the presence of Wi-Fi devices. If desired, one can use a Wi-Fi-enabled laptop and its software to determine which Wi-Fi channels are in use nearby and then configure the Sensys Networks channels so that the frequency offset from the Wi-Fi channels is as large as possible. Generally, however, such a site survey is unnecessary. What sort of detection accuracy can be expected? Performance of the Sensys Networks Wireless Vehicle Detection System has been investigated by various 3rd parties, typically by comparing detection results against ground truth or against other detection systems. In general, Sensys Networks detection performance is considered comparable to that of well maintained inductive loops. Several representative studies have been summarized and can be downloaded from the Sensys Networks Website, www.SensysNetworks.com. Is there a tool to measure radio performance of the sensors, access points, and repeaters? No separate tool is required -- each Sensys Networks access point or repeater continually monitors the performance of the radio link from each supported Sensys Networks wireless sensor, providing an RSSI (Receive Signal Strength Indicator) measurement of the received signal power and an LQI (Link Quality Index) figure of merit reflecting the quality of the link in a way that is analogous to its signal-to-noise ratio. Additionally, RSSI and LQI values between a repeater and access point are also monitored. 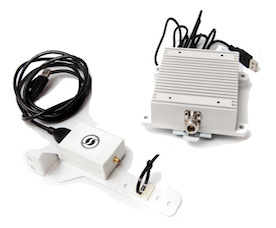 Measurement results can be obtained from the access point using the TrafficDot application, either remotely via the access point’s IP connectivity or with a laptop PC connected directly to the access point’s Ethernet port in the field. Do barrier walls affect radio performance? A primary cause of degradations to radio link quality is the presence of undesired radio transmissions in the receive frequency band. Other radio devices may possibly interfere with the Sensys Networks Wireless Vehicle Detection System, but reflections of the signals transmitted by the Sensys Networks devices themselves are most often the source of interference. Sensys Networks recommends that a clear line-of-sight exist between all sensors and their supporting access point or repeater and between all repeaters and their supporting access point. In general, an access point or repeater should be oriented so that all the Sensys Networks radio devices that are intended to be supported are within an approximate 120° field of view (±60° in both elevation and azimuth from boresight). Beyond this angular extent, power levels drop off significantly. Barrier walls, nearby buildings and structures, and stationary or moving vehicles, however, can all create reflections that interfere with proper reception. The radios and the communications protocols employed by the Sensys Networks wireless system are designed to recover from dynamic changes in the radio environment such as created by moving vehicles. Static conditions, however, should be addressed upon installation by ensuring that the RSSI and LQI values are in their desired ranges. What RSSI and LQI values are recommended? What can be done if these values are not achieved? The RSSI value is measured and reported in dBm (dB relative to 1 milliWatt into a 50 Ohm impedance), while the LQI value is reported as a number between 40 and 99, with 99 reflecting the best quality link. For most installations, Sensys Networks recommends that the RSSI value be greater than - 80 dBm and the LQI be greater than 90. If the RSSI and LQI values for specific sensors or repeaters are not above their respective recommended values, they may be beyond the range of the access point or repeater or may be subject to interference due to reflections or local spurious emissions. To correct any such problem, different frequency channels can be selected, the angles at which the access point or repeaters are aimed can be changed, the access point or repeaters can be mounted at a higher elevation point, or the distance between devices can be reduced by choosing or installing different mounting locations for the access point or repeaters. Can wireless communications between the sensors and access point be jammed? Practically any radio system is vulnerable to intentional jamming. The Sensys Networks Wireless Vehicle Detection System employs 10 dB of channel coding gain to minimize the impacts of interference with other systems operating in the same frequency band and can be configured to operate on any of 16 different frequency channels to improve radio performance. Can vegetation (trees, bushes) affect radio performance? The radio links between the Sensys Networks access point and each sensor or repeater require clear lines of sight. If seasonal vegetation impedes the line of sight between two particular devices, radio communications may no longer be reliable, requiring frequent retransmissions or suffering outages. As much as possible, system installation should avoid the possibility of tree branches and foliage growing to interfere with radio communications. What happens if communications to a Sensys Networks installation are in some way disrupted? What happens if interference affects the link between a sensor and its access point or repeater? What happens if the IP connectivity to the access point – especially if supported by cellular data services – is temporarily lost? The Sensys Networks Wireless Vehicle Detection System incorporates numerous mechanisms to ensure communications reliability. Wireless communications between each sensor and its communicating access point or repeater involve an ARQ (Automatic Repeat-reQuest) protocol where, after a sensor transmits data, it waits for an acknowledgement from the repeater. If an acknowledgement is not received before a timeout period elapses, the sensor assumes the transmission has failed and re-sends the data. Up to 16 detection events can be buffered by the sensor. Within an access point, 130 kilobytes (kB) are reserved for event caching to buffer the raw detection data prior to transmission upstream. This ability to buffer event data becomes crucial, especially when IP connectivity to the access point is supported by cellular data services that can suffer temporary outages. Depending on how many detection events are actually recorded by all the sensors connected to the access point, typically several minutes of raw data can be buffered until communications upstream are again available. Additionally, if APSTAT is configured to run on the access point, then 500 kB are reserved for storage of data that has been processed by APSTAT. Depending on how what statistics are compiled and what interval is configured, up to weeks of data can be stored on the access point. 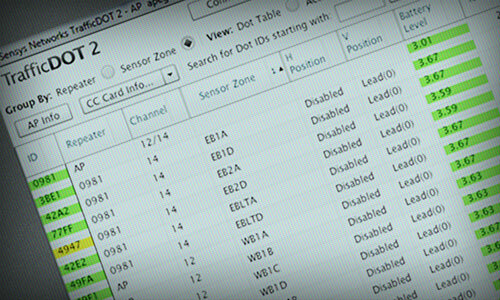 In stop bar applications, what happens if a sensor or access point fails? In the event that an access point loses contact with a sensor, the Sensys Networks contact closure interface card will place a constant call on the channel that was configured for that sensor. If an access point loses contact with the Sensys Networks CC card, all active channels of the contact closure interface cards (CC and EX cards) associated with that access point will place a constant call to the traffic controller. In this way, the behavior of the Sensys Networks Wireless Vehicle Detection System mimics the behavior of inductive loops and loop amplifiers.